As to the front ‘guard, all post-1912 machines have the front guard extension; it is just that Marston never used a new picture, as is the case with the one of the lady emptying the oil-bath. 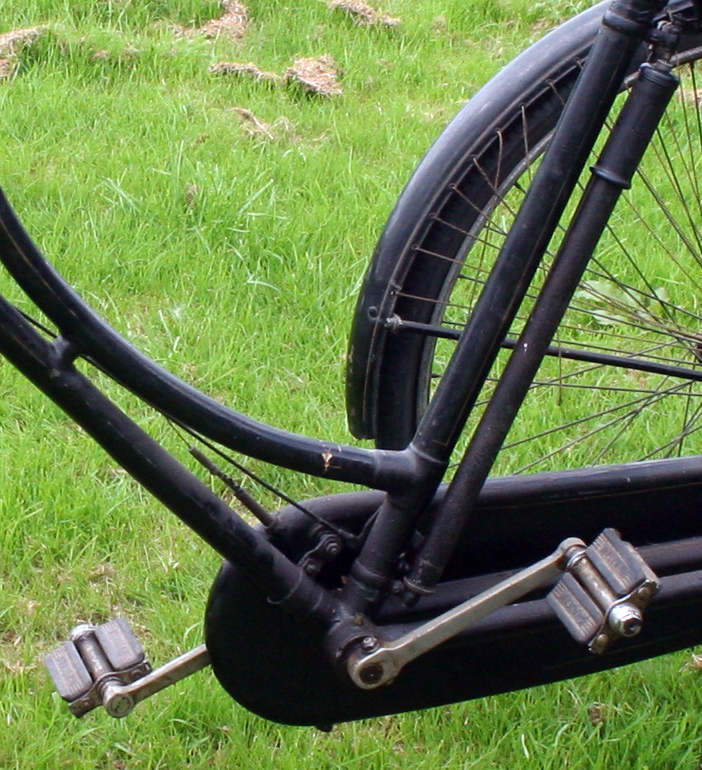 I have restored both pre-and post-WW1 tricycles and all have had the long front ‘guard. As you will know, the Sunbeam works records are presumed to have been lost. 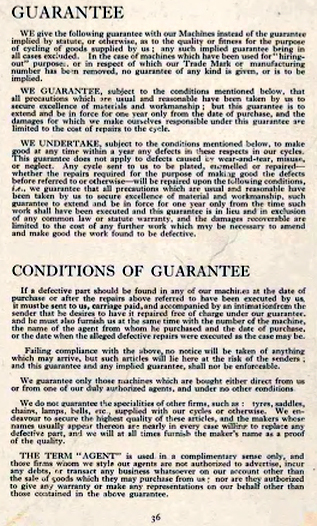 From the evidence obtained over the past 40 years or so, it seems that the tricycle and tandem numbers run concurrently, though I have no tricycle with an original receipt. 120766 is pre-war. 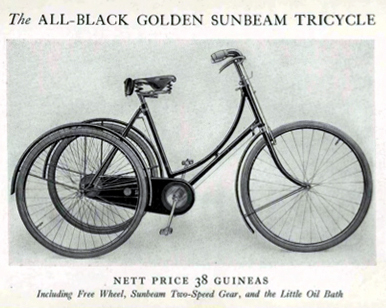 This example has the fittings of a Royal Sunbeam, though the company only mentions their tricycle being a Golden Sunbeam. Finding machines such as this is part research, part luck, and often involves long journeys. 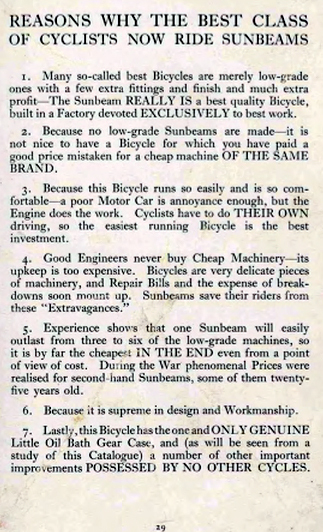 I found this Sunbeam tricycle while I was browsing the internet. It was pictured perched on a top ledge fifteen feet above a factory floor, in Cheshire. The factory owners had just listed some vehicles they’d decided to sell. As well as this tricycle there were two vintage Sunbeam motorcycles, a 1930 Model 9 combination and a 1925 500cc, both obviously rare and sought-after machines. 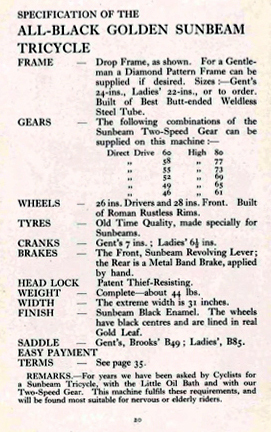 From the poor photos and inaccurate descriptions, I couldn’t tell whether the 500 was sidevalve or – the jackpot! – an ohv. I didn’t want to ask too many questions of the seller, but we discussed how much he wanted, agreed the price, and I said I’d be there in two days to pay and collect. I immediately phoned my friend Alain in France and he jumped straight in his van and drove to my house in Brighton. I’m always on the lookout for interesting British motorcycles for him, and he collects the vintage bicycles I’ve bought in France. He’d been looking for a flat-tank Sunbeam ohv for many years for his personal collection. 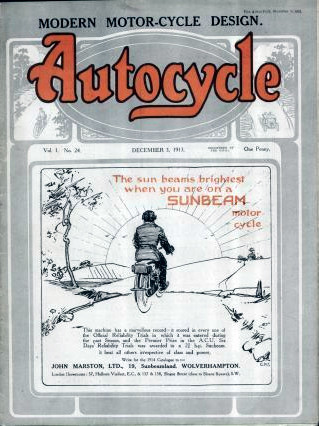 We motored up to Cheshire – 4 hours away – and we simply couldn’t contain our excitement when we first saw the Sunbeam 500. 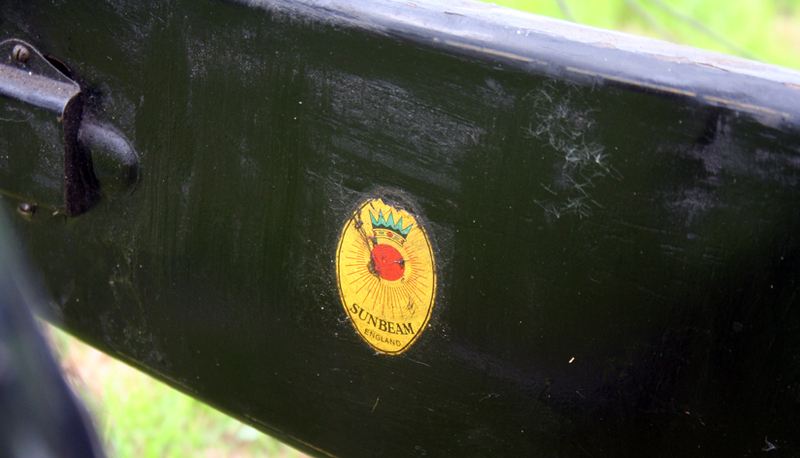 It was indeed an ohv version …rare, collectible and normally very expensive. The seller’s son asked if we wanted time to inspect it fully. We said no, we were happy with the deal. Unfortunately, though he obviously knew nothing about motorcycles, one look at our faces was all it took to realize he was selling them too cheaply! We were beyond enthusiastic …we were actually gleeful. I suppose we were not the type of person he was used to dealing with: instead of inspecting the bikes and picking faults to try and get the price down, we just sat down next to them to eat our sandwiches. After fifteen minutes, he came out of his office to tell us the price had gone up and that we had to buy all three or none. Alain’s mouth dropped; he’s very old-fashioned about that sort of thing, and I had to stop him walking away. I spent a stressful half an hour of negotiations to hang a deal together, using all Alain’s spare cash and my debit card. 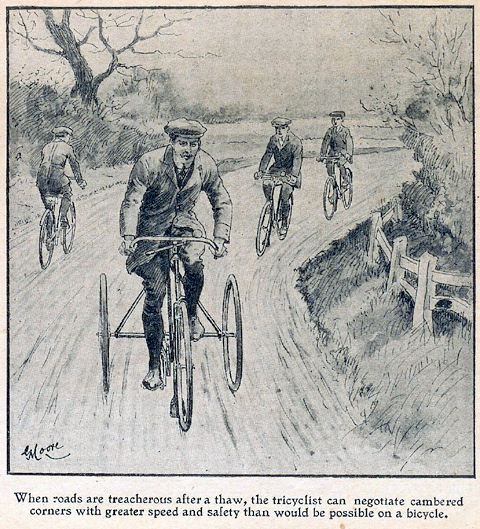 But we came away with the bikes. These things only appreciate in value. 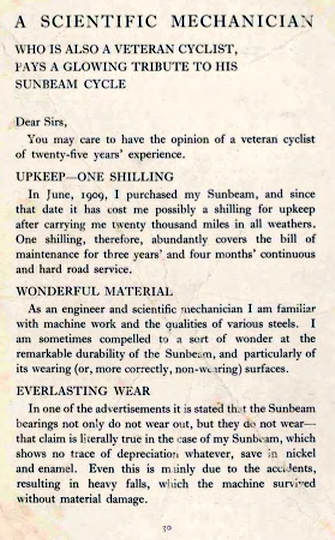 Alain sold the 1930 Sunbeam outfit right away to get some money back in. Within a year his 500 ohv was worth more than the total we paid for all three.